Following the divisive release of 2016’s “Ghostbusters” reboot, it came as a shock when a teaser was released for a follow up to 1989’s “Ghostbusters 2.” Accompanying the release of the teaser was news from director/writer Jason Reitman (son of Ivan Reitman, director of the original entries) about the basic concept of the film. According to Reitman, the film will be a continuation of the 1989 sequel and will follow the passing of the torch from the original team to a younger generation. At the moment, there has been no news regarding the cast for the film, and though it seems essential that the original cast returns for the third installment, there have yet to be any confirmations from them. With this being said, it still waits to be seen how good this movie will be coming off the divisive remake and how well it well it will measure up to the iconic originals. Releasing in the summer of 1984, “Ghostbusters” followed a group of scientists as they investigated a wave of spectral occurrences in New York. The audience witnessed these scientific outcasts go from nobodies to heroes who saved New York, and the world, from total destruction. “Ghostbusters” provided genuine laughs as each of the main cast shined amidst a cast of comedic icons. Each member of the group served their own roles that they each made their own. Ray Stantz (Dan Aykroyd) was the heart of the group, Egon Spengler (Harold Ramis) was the brains, Peter Venkman (Bill Murray) was the mouth and Winston Zeddemore (Ernie Hudson) was the everyman. Even though Bill Murray took center stage, “Ghostbusters” was an ensemble film where each character had their moment to shine and no one was overshadowed by the other leads. Each character was unique and served their purpose without outshining the others. Venkman was the coolest ghostbuster who always had a clever remark for the situation and was more interested in winning the affection of Dana Barrett (Sigourney Weaver) than actually fighting ghosts. Egon was the socially awkward monotone genius that everyone loved because of his quirks, such as his collection of spores, molds and fungus. Ray was the child in an adult’s body. He genuinely enjoyed every spook and specter they ran into and even when the rest of the team was focused on getting a cheap deal on their new headquarters, he was more interested in riding the fireman’s pole. The final addition to the team that came halfway through the first film was Winston Zeddemore. Most people overlook Zeddemore and his significance to the franchise, often dismissing him as the token black character in what would otherwise be a team of white only members. Zeddemore is much more than that however, because he represents the audience as we tag along with Venkman, Ray and Egon as they fight supernatural threats. Of the team, Winston is the only normal one of the bunch, brilliantly exemplified when he responds to the question of whether he believes in the supernatural with “if there is a steady paycheck in it, I’ll believe anything you say.” Zeddemore may not be the most interesting character or the funniest, but he is crucial because he grounds the team and connects them to the audience. Individually, these characters are great and each stands out, but when they are put together on the screen they truly shine. The team genuinely feels like they love each other and have known each other for years. The chemistry that exists between the ghostbusters is what ensured that this film, and its franchise, remains relevant and why audiences still adore it. With a cast of comedic legends like this and a genuinely funny script, it is no surprise that the film scored positively with audiences, opening to $13.6 million box office ($35 million today). “Ghostbusters” even surpassed Steven Spielberg’s “Indiana Jones and the Temple of Doom” as the highest grossing film of that summer, and came in second for the year behind “Beverly Hills Cop.” However, the true success of the film came through with its remarkable longevity. This can be seen with the release of an animated series in 1986 and a sequel in 1989. Even still, the franchise has continued to endure well into the 2000’s. I can hardly even recall a Halloween that went by without seeing a child wearing a proton pack or without hearing Ray Parker Jr.’s iconic “Ghostbusters” theme playing on the radio or in the background of some store. This, coupled with the fact that the iconic “Ghostbusters” logo is widely recognizable alongside the bat signal shows the impact of this franchise on pop culture. The likability and chemistry that exists between the main cast additionally helped propel the studio to release a sequel in 1989. 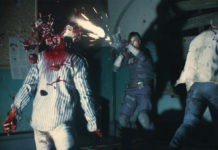 Following the 1989 sequel, the franchise went on a long hiatus, save for the occasional video game, until the announcement of a reboot in 2016. This time, instead of the original team that we’ve all came to love, fans were given a new timeline, one where New York was never attacked by a towering marshmallow man, and a new crew of female ghostbusters. The initial reaction to the film was loudly negative, as the trailer quickly became the most disliked trailer in YouTube history. 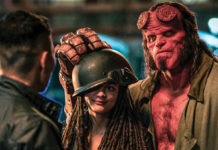 The film still managed to perform well with critics, scoring a fresh 74 percent on Rotten Tomatoes, but continuing to divide fans as evidenced by a 51 percent fan score. Many of the film’s problems stemmed from an overreliance on special effects that tried to distract from lackluster humor. However, the major criticism that hit the film was that it tried too much to recreate the original team dynamic with a new, cobbled-together cast. 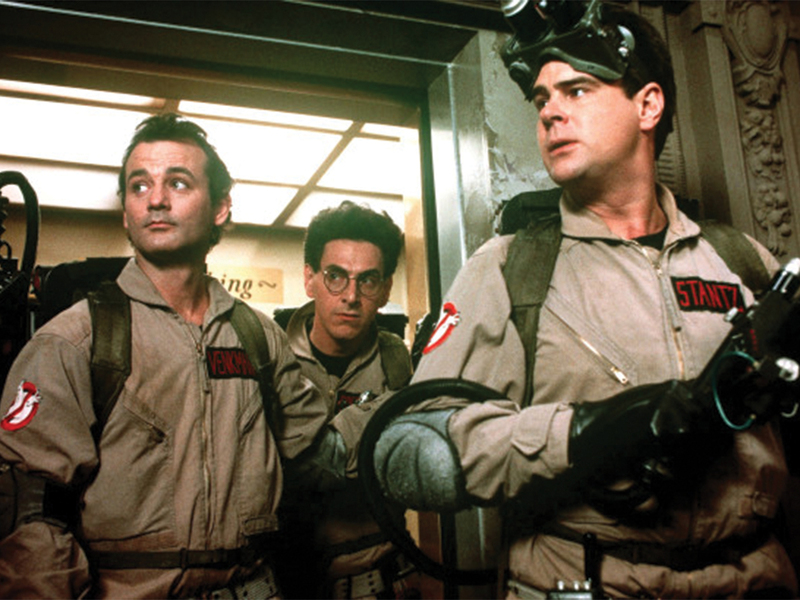 Each of the four members shared key traits with the original ghostbusters, rather than attempt to create their own unique characters. As a result, the film looked like it was trying too hard to capitalize on the past film’s success, even including callbacks to the originals with the ghost Slimer, the car Ecto One, and a horrific remake of the “Ghostbusters” theme by Fall Out Boy. Though they weren’t wrong to reference the past, even containing a few entertaining cameos from the original cast, the film never managed to make a name for itself and escape the shadow of the original. The recent announcement of a direct sequel to the original films has brought about renewed excitement for the franchise as fans will hopefully get the long awaited “Ghostbusters” reunion they’ve been asking for. I use the word “hopefully” only because details on the film are sparse and there have been no official confirmations regarding the cast. However, words of support from Dan Aykroyd and the cameos from the original cast in the recent remake should be reason enough to hope. As of now all we know is that the film will be written and directed by Jason Reitman and that it will focus on a passing of the torch from the past generation to a new one (a plot that would only make sense if the original cast returns). Sadly, however, as is the case with all sequels to beloved classics, the possibility for let down looms over the project. No one wants another “Indiana Jones and the Kingdom of the Crystal Skull.” With this in mind, the yet untitled “Ghostbusters 3” needs to fix what the remake did wrong. As a direct sequel, it is allowed, even encouraged to embrace the past but still needs to distinguish itself from the originals. The new generation of ghostbusters can’t just be young reskins of the original ghostbusters but instead need to be unique. Furthermore, it’s often a boon of these remakes of 1980s classics to over rely on special effects. Obviously a film about the supernatural can benefit from new technology, but as was the case with “Kingdom of the Crystal Skull” and the 2016’s “Ghostbusters,” the films went overboard with special effects to the point that integral scenes were basically created entirely on a computer and green screen. The real success of these originals weren’t their stunning visuals, but their focus on its characters, both in its leads and supporting cast. In order for this film to hit with fans it needs to deliver on the much-anticipated reunion of the original cast, despite the tragic loss of Harold Ramis in 2014, and to usher in a new cast of characters that are relatable and not just a rehashing of the past.